After Senator Orrin Hatch (R-UT) introduced that chamber’s version of the MMA (S. 2823), the Senate Judiciary Committee reported that on June 28, 2018, the bill was unanimously approved with a vote of 415-0 (with 25 cosponsors in the Senate). The bill will now go to the full Senate for consideration, after which send the bill will go to President Trump for his signature. The bill has not been without controversy. In June, 2018, a new bill was introduced by Sen. Ron Wyden (D-Ore.); ACCESS (the Accessibility for Curators, Creators, Educators, Scholars, and Society) to Recordings Act. ACCESS to Recordings Act appears to be a response to criticism of the CLASSICS Act portion of the MMA. Wyden’s bill creates a new federal protection exclusively for non-interactive digital transmissions (such as SiriusXM or Pandora) where these recordings are played without compensating the artists. The ratification of CLASSICS (as part of the MMA) means these legacy artists get paid immediately, and the relevant digital streaming services achieve legal certainty. CLASSICS ensures that pre-1972 sound recordings are treated the same way as any other recording when played on digital radio so that all artists are fairly compensated for their work, and prioritizes pre-1972 artists. It leaves the common law protections for these sound recordings in place, along with the existing copyright expiration date under an existing federal statute for all of these works of February 15, 2067. On the other hand, the ACCESS to Recordings Act would result in a shorter term of protection and more difficulties for pre-1972 artists who are already not being paid fairly for their works because of a legal loophole. Senator Ben Sasse began circulating an amendment to strike the CLASSICS Act from the Senate version of the Music Modernization Act. This would allow Google to exploit pre-1972 artists and get their new reachback safe harbor that the songwriters and publishers gave up. The bill undermines the closing of copyright loopholes, shortens copyright term, strips pre-1972 recordings of protection they currently have under state law, and weakens the protections for these recordings by pushing them into the public domain faster. Unlike the MMA, which passed the House with 415 votes and has 25 cosponsors in the Senate, ACCESS has none. Yet, introduction of the ACCESS bill delayed the full Senate vote on the MMA. On July 17th Blackstone, a private equity firm which purchased performance rights organization SESAC in January 2017 (who had purchased the Harry Fox Agency (HFA), the nearly century old rights management and collection entity which has acted as a hub for administrating and distributing mechanical license fees on behalf of music publishers, for $20 million in 2015), submitted a proposal that could upset the fundamental structure of the bill. The issue for Blackstone can be traced to HFA. The MMA will establish its proposed Mechanical Licensing Collective (MLC) to be overseen by a Board of publishers which includes four self-published songwriters. This allows the HFA to compete as a vendor in an open market but it could also devalue SESAC’s investment. SESAC is a for-profit company (as opposed to ASCAP and BMI who operate on a not-for-profit model). They are able to determine rates for its copyrights in an open market. Until now, ASCAP and BMI, the two leading Performance Rights Organizations (PROs), have had to operate under rates determined by a government-run rate court. 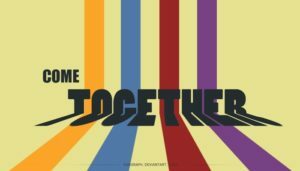 They, along with songwriter advocacy organizations like the Songwriters of North America (SONA), argue is an antiquated and inefficient system that urgently needs restructuring. Some feel the proposal may benefit the privately owned Blackstone company at the expense of the entire music industry. SESAC never endorsed the MMA officially, though it has previously stated its support for the act. Senator Ted Cruz (R-Texas, who has been working with SESAC/Harry Fox) is among those advocating for “private sector” players in the licensing part of the MMA process. Many feel that the proposal made by Blackstone / SESAC / HFA would offer a compromise that would keep all the elements of the MMA while offsetting Cruz’s amendment to create competition for the blanket license. This amendment worries the music industry even though he temporarily shelved it to allow the bill to reach the full Senate. So while the Senate Judiciary Committee, including Cruz, voted to allow the bill to go to the full Senate, the industry knew it would still have to deal with Cruz’ proposals, in order to get the legislation passed. Some feel that Cruz is using his senatorial privilege to protect what he sees as “free market competition” by attempting to help companies like Music Report Inc., Harry Fox Agency, MediaNet, and other privately owned companies that have long been in the music licensing business. Unlike HFA, who has been around for decades, the others are new to the music licensing business; their involvement began with the paradigm shift of digital downloads. However, there are others who see the HFA / SESAC part in the process of redesigning how musicians get paid for their work in a much more positive light. Chris Castle (of Music Tech Solutions) wrote that “When HFA developed the first digital download mechanical license in the late 1990s, the current crop of critics were nowhere to be seen. Was it a perfect solution? Not entirely, no. But it did work and business got done and songwriters made money. We were all feeling our way along the digital precipice and making it up as we went along.” HFA had been blamed for the current problems with Spotify, which Castle claims led directly to the safe harbor in the Music Modernization Act. There are other opponents to the bill. These include Sirius XM, Music Choice, and Dae Bogan (consultant with DaeBoganMusic.com, SXSW music industry mentor, advisor with Baserock, faculty & fellow at UCLA Herb Alpert School of Music, & member of Music Business Association, Music Industry Research Association, Open Music Initiative, SoCal Music Industry Professionals, The Recording Academy). Bogan met with the Congressional Budget Office recently. He expressed concerns about what the bill would mean for DIY musicians, and was quoted as saying “the MMA is not quite there yet and passing it as-is, with all of its ambiguity, would be a shame.” He also expressed concern that since the MMA codifies unattributed mechanical royalties into an escrow account (the “black box”) as a matter of law, an important private sector matter will become a government matter. The question of federal government or state governments having the right to maintain the unclaimed royalties remains an important unanswered concern. 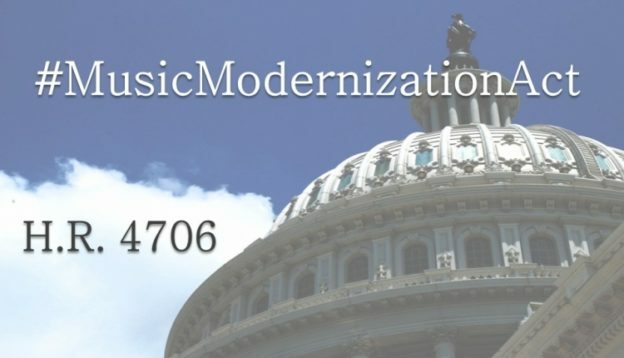 The Music Modernization Act leaves much of the status quo untouched (this often happens when a piece of legislation is passed by a massive bipartisan majority). It addresses some problems with monetization by artists without solving all of them. Musicians continue to be very poorly paid via streaming, (who are paid as low as $0.006 to $0.0084 per stream on Spotify). The new legislation seems unlikely to move that number significantly unless you’re an artist with a pre-1972 work. The legislation also does not address concerts and live performances; the primary means for artist revenue generation. It’s clear the controversy, and the debates of the pros and cons of the MMA are far from over.